Virtual Reality technology is something that was spoken about years before its actual release, and when it did finally arrive; it didn’t take off as everybody had hoped. While the tech was good, many consumers were put off by it for one reason or another, which limited its impact. 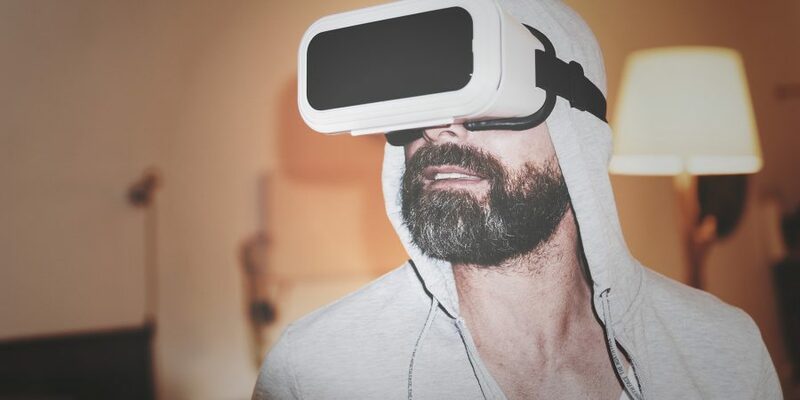 However, the situation has improved as time has gone on, and now virtual reality is exciting the mainstream; with the mobile gaming sector set to benefit in 2019. The mobile gaming industry has rapidly risen to the fore over the last few years and it’s now responsible for over 50% of the gaming market share. Technological advances have seen smartphones become capable of doing more than ever before, and more importantly, doing it better. Manufacturers such as Apple and Samsung are already preparing for a Virtual Reality future by ensuring that their latest flagship devices can produce the best VR experiences possible; whilst others like HTC strike up strategic partnerships. While Virtual Reality using headsets alongside PCs and consoles is becoming increasingly popular, there are many reasons to suggest that mobile VR gaming can compete with it; and possibly even go on to dominate over the next 12 months. If you’re planning to use a VR headset, you’ll likely have the added cost of a good spec PC or a next-gen games console to add on top of purchasing the headset itself. However, most people already own a smartphone, meaning they would only have to buy the headset; and mobile VR headsets are relatively cheap in comparison to others. Using mobile VR is also a lot more convenient too. In most cases, most of users just attach their smartphones and pair up the motion controls, and away they go. Many people suggest this is the best way to experience VR as things stand, and don’t forget there is some great content to get stuck into too. Standout titles include the likes of Arizona Sunshine Zombie Shooter VR, VR Roller Coaster and End Space VR. Top developers are now getting involved with creating mobile VR titles, and this is a good sign going forward, with more likely to get on board as they look to compete in what is a fast-growing market. There have already been improvements made to mobile VR headsets such as the Oculus Go and the Samsung Gear, and this is also likely to play a huge role in the success of mobile VR gaming in 2019. Everyone wants to experience the best gaming experience possible and that means both the hardware and the software needs to be up to scratch; which is now the case, much to the delight of mobile games. There’s also the possibility of Virtual Reality creating unique experiences too, with one of them being virtual casinos. This is still relatively in its early stages of development, and time will ultimately tell whether VR will have a huge and lasting impact in the casino industry. However, there are already some virtual casinos out there, and it shows the innovative power that VR has, as it looks to transform how people play games, especially when they’re using their smartphone. So there is no doubt that 2019 looks set to be a huge year for mobile VR gaming; just how huge, remains to be seen.